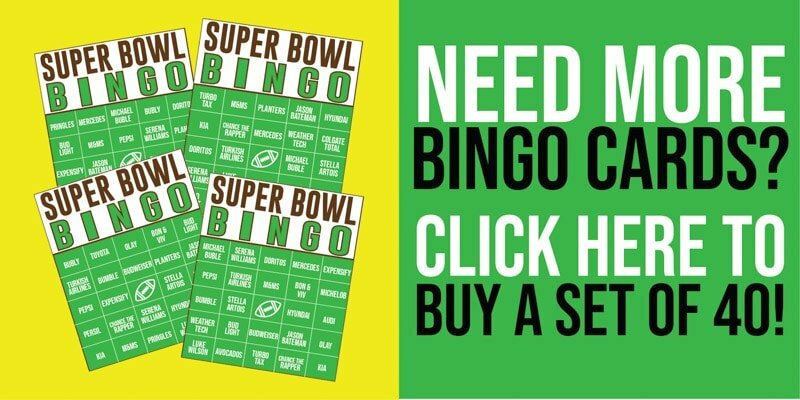 One of our Super Bowl traditions every year is to play bingo during the commercials with these free printable Super Bowl commercial bingo cards. It’s a fun way to get everyone involved, even people who may not be the biggest football fans! 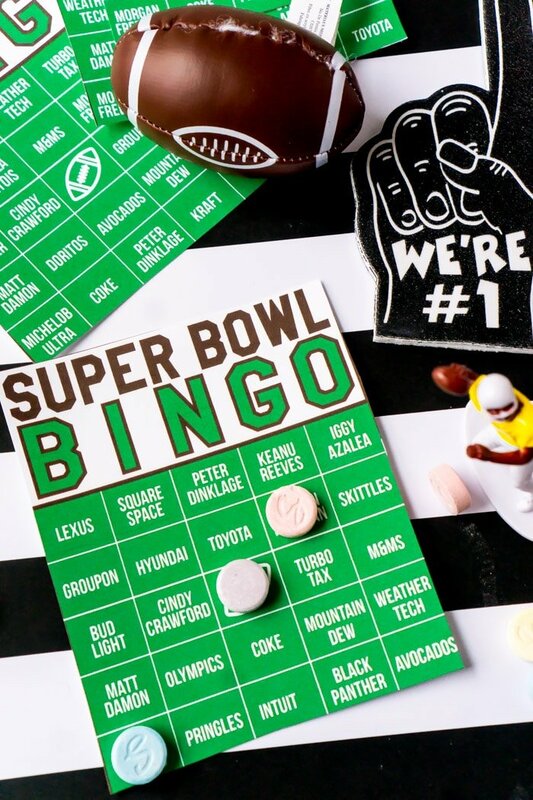 And Super Bowl bingo is definitely one of the most fun games out there! Just print out the cards, hand out to everyone, and enjoy the best commercials of the year! 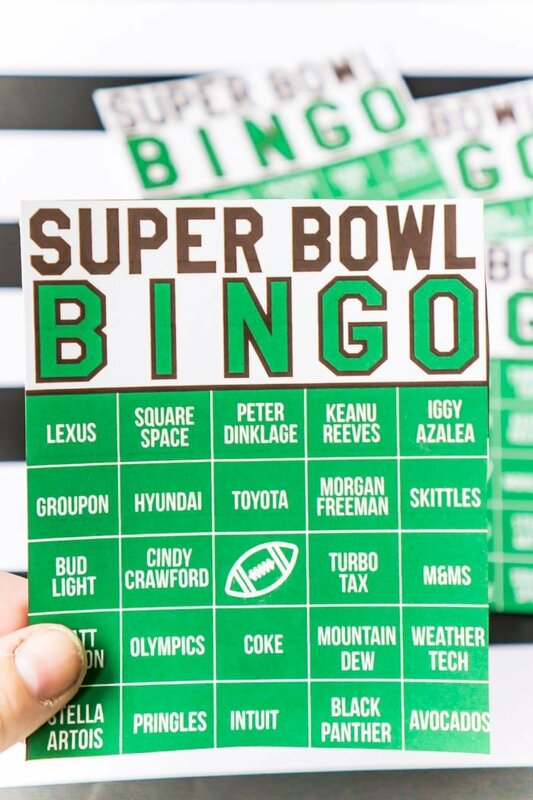 One of my all-time favorite Super Bowl party games to play during the year is Super Bowl commercial bingo. We started doing this four years ago, and it’s been a tradition ever since! And I know it’s been a big hit with readers at Super Bowl parties, so I keep making new printable cards every year. I created printable bingo cards that have the names of brands and celebrities that are scheduled to appear in the 2019 Super Bowl commercials this year. Everything on the cards has been confirmed as of publish date on this post but if someone pulls out last minute, sorry! I tried to mix things up a bit more this year, so there are about 31 different options that could be on each card rather than all of the cards having the exact same options, hopefully that’ll make it a bit less likely for people to bingo at once. If you want more generic cards that might work better for kids, these football bingo cards fit the bill. Do this football scavenger hunt for kids before the game and play football bingo during the game; the kids will be entertained until the timer runs out! And just as a side note – the real photos in this post are from the 2018 bingo cards BUT the actual PDF cards that you can download are from 2019. I didn’t see the need to rephotograph everything – the only thing that changed are the words on the cards! You’d think that Super Bowl bingo would be pretty self-explanatory, but I still get a lot of questions, so here are some clarifying rules for playing! If you have more questions, feel free to leave comments, and I’ll do my best to answer. And honestly, it’s just a game so if you want to change things or make up your own rules, feel free! 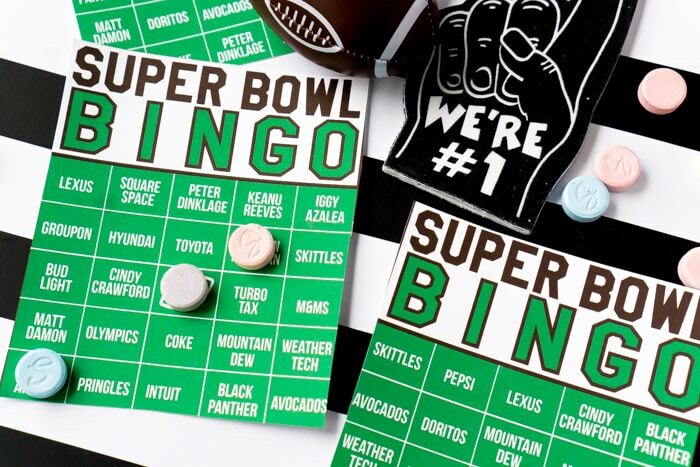 Give everyone one of the Super Bowl bingo cards along with some markers. We love using things that are actually part of the commercials, so this year M&Ms would probably be a good bet! 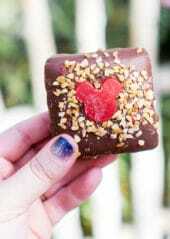 Although those might get eaten, so you could definitely do something like Cheerios or uncooked beans instead. Or buy these bingo markers you can reuse year after year! How many times can one person bingo? With large groups, I recommend once. With smaller groups, you could easily do 2-3 with small prizes. How many bingos will you play total or will you play until everyone bingos once? Once someone bingos, are they done playing or can they go for something like a blackout prize? Once everyone has a card, the game is on. If you see or hear something on your card during one of the commercials, cover it up! The key word is during the commercials – not during the game, halftime show, or the announcements – this is commercial bingo after all! Whoever covers five squares in a row (free football space can be included) first calls out bingo and wins a prize! Five in a row can be horizontal, vertical, or diagonal. Or like I said – if you want to mix it up and say they have to get four corners or a specific shape, be my guest! It’s your party after all. Just a few more clarifying notes for things I’ve gotten questions on in the past about these Super Bowl bingo cards. A brand name can only be covered when that brand is shown or said. A celebrity can only be covered when that celebrity is shown or said. Two squares can be covered during the same commercial as long as you see both the brand and the celebrity. For instance, Luke Wilson will be in Colgate’s Total video. You can cover up both Luke Wilson and Colgate Total when you see that commercial. Since it’s bingo and not a big group thing like these Super Bowl minute to win it games, you can go a little more expensive on the prize. So instead of a bag of candy for instance, a gift card. 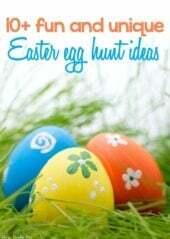 I’ve put down a handful of ideas that would be great bingo prizes, ranging from more expensive to not so expensive. 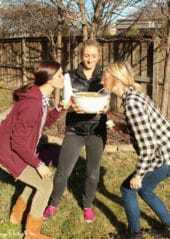 A popcorn bowl full of prizes from the Super Bowl advertisers – M&Ms, Doritos, etc. Before the party, all you need to do is print out the PDF document below, cut them into four, and pass out a the party. The free printable download below includes 16 unique cards customized to this year’s Super Bowl. If you need more cards, I’ve created a set of 40 unique cards that you can purchase for a low price by clicking here. If you need more even more than 40 cards, you can get a set of 80 here! Enter your first name and email address below to get the set of 16 free printable bingo cards. You’ll be immediately taken to the PDF to download and receive a copy to your email shortly after. If you can’t see the form below, click here to get to the form to enter your info. Don’t forget to pin these 2019 Super Bowl bingo cards for later! is that during a commercial? This game was a HUGE hit at my SB party last year! We are planning this year’s party and have been getting asked if we will be playing again. Please tell me you will be doing updated cards for this year! 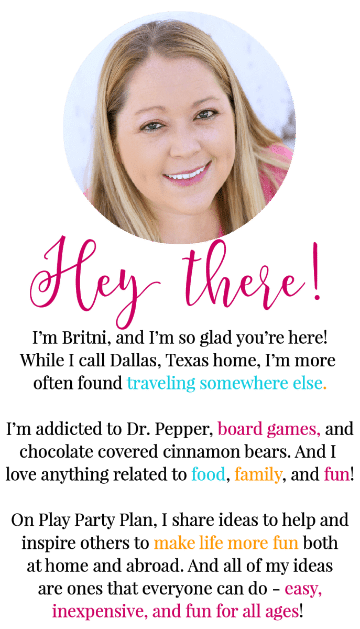 Just updated the post with new cards for 2019! Thanks can’t wait to play! I’m so excited to find this again! We had an absolute blast with this last year, and my kids just asked if we were going to play it again this year. Thank you for making this again! If you want Super Bowl bingo with real football plays instead of commercials, this is the one. We use it every year! 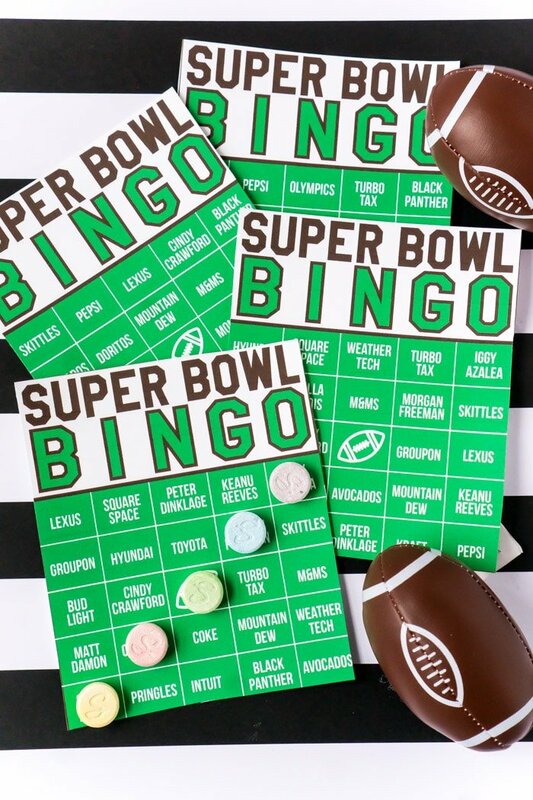 You could definitely try this one that’s more play based than commercial based as well, thanks for the note – https://www.playpartyplan.com/super-bowl-party-games-super-bowl-bingo/. Is there a master card or list to check off the commercials so you can verify the card is a winner? There wasn’t before, but I just updated the PDF to include a master list. Thanks for the suggestion! I can’t seem to download the pdf. Can you help me? Thanks so much! Super excited for this! So cute and creative, thank you so much! Just wanted to say thanks for the Commercial Bingo cards – we got the 40 count for our party and the family loved them! That makes me so happy! Glad you loved them! !